The United States of America is known for their colossal and technologically-advanced armies, rumbling V8 motors, and stroke-inducing cheeseburgers. The average American is also known for buying stuff they don’t need, and we’re all guilty of overconsumption at some point in our lives. 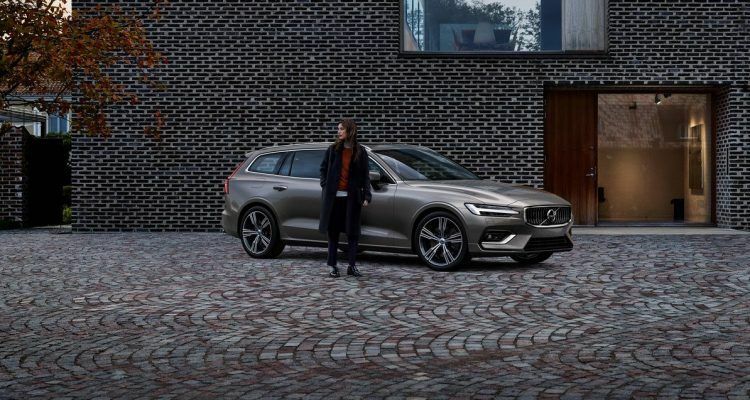 But according to the report on Decluttering the State of Luxury conducted by Volvo and Harris Poll, it seems the thirst and hunger for excess consumption is becoming a thing of the past. The report is part of a series from Volvo exploring how our relationships are changing and evolving with regard to car ownership. Earlier this year, one report examined how Americans feel about traveling with their pets. This latest report, New Luxury Demands Less Clutter was conducted on behalf of 2,102 online participants aged 18 and above between April 26th and May 1st, 2018. The survey concluded 85 percent of Americans believe they have too much stuff and are looking to sway toward the minimalist approach in terms of luxury. The same people are actively working to declutter and simplify their home and office spaces. The traditional American mantra of “bigger is better” along with consumption-driven buying habits is proven by the 48 percent of Americans who say their lives were more cluttered than they were 10 years ago. However, 34 percent of respondents are looking to streamline all areas of their lives, with one in four Americans seeing their vehicles as a space they actively need to declutter. The surprising thing is that 60 percent of parents say they feel the need to declutter their vehicles more often than other spaces, compared to only 37 percent of non-parents. Is this also a clear sign of maturity as one enters the interesting world of parenthood? Most probably yes. The survey concludes by saying “modern luxury” is 64 percent more inclusive and transparent and 63 percent more minimalistic compared to 10 years ago. Most Americans now prefer clean, functional, and spacious as the primary motivators of the term “luxury.” In fact, most people will now choose craftsmanship (51 percent), advanced technology (50 percent), and customization (47 percent) over exclusive access and elaborate design. Volvo XC40 Inscription T5 AWD in Denim Blue. Photo: Volvo Car Group. Gone are the days when the average dashboard was filled with hundreds of buttons, knobs, and switches reminiscent of the control center in a nuclear missile silo. You can see this clearly on modern luxury cars. Touch panel displays are replacing the voluminous amount of switches that control all aspects of a vehicle’s performance and comfort settings. Mercedes-Benz, BMW, and Audi are cramming as many touchscreens as possible in their new vehicles to keep the interior modern, upscale, clean, and functional. But when it comes to true modern luxury, almost two-thirds or 61 percent of Americans agree that Scandinavian design is the modern interpretation of uncluttered luxury. You only need to look at the 2019 Volvo XC40 to discern this. 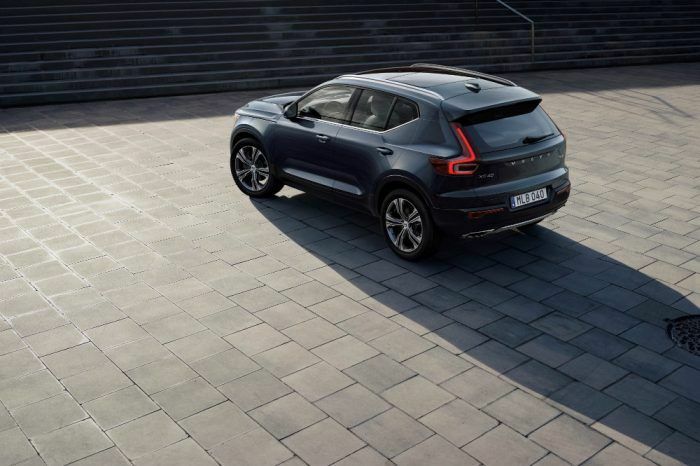 Volvo engineers utilized the “less clutter” concept to come up with a design that speaks to the results of this study. What we particularly like about the XC40 is the clever usage of space to impart the feeling of practicality without compromising on premium design. Case in point: the built-in trash bin. Yes, the 2019 Volvo XC40 comes with a trash can in front of the arm rest. The bin is equipped with a flapping lid to keep things clean and simple. You can remove the trash bin, empty the contents, and pop it right back into place. This feature literally blew our minds since no other car in the history of the world came with a purpose-built trash can! The XC40 also comes with handy slots on the left of the driver’s knee to hold IDs or parking tickets, and the door pockets are even sculpted enough to accommodate a 15-inch laptop. There is a wireless phone charging pad because using conventional cables is as primitive as leaving the couch to change the channels on your TV. The exterior design is no different. The modern lines and surfacing of the body have a sense of playfulness and adventure. In fact, exterior lead designer Ian Kettle utilized the phrase “Tough Little Robot” to draw inspiration for the crossover’s design. What he really meant was sci-fi movies blended with the clean Swedish design, and it shows. As the modern consumer shifts from excessive consumption to minimalism and uncluttered luxury, this could only mean good things for the cars of tomorrow. This is also good news for those who find it almost impossible to change the radio station or fan settings in a modern car. Alvin Reyes is the Associate Editor of Automoblog. He studied civil aviation, aeronautics, and accountancy in his younger years and is still very much smitten to his former Lancer GSR and Galant SS. He also likes fried chicken, music, and herbal medicine. No Comments on "Uncluttered Luxury: The Preference of The Next-Generation Car Buyer"